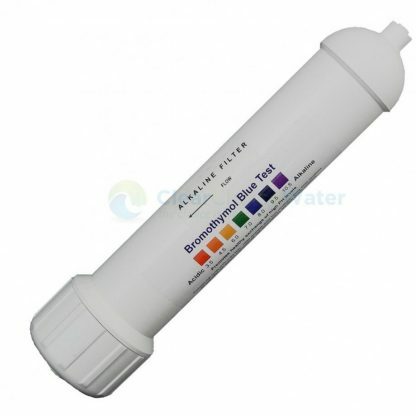 This alkaline filter is the latest technology from the USA guaranteed to raise the alkalinity of your drinking water. result in shorter cluster chains in the water molecules – increasing the bio-available response and oxygen absorption in the body. 2. Changes the oxidation/reduction potential of the water (ORP) to between -100mV and -250mV. 3. 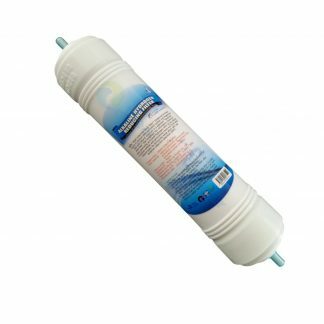 Reduces the size of the clusters of water molecules so that the water is more easily absorbed in the body. 4. Adds to the water beneficial alkaline minerals such as potassium, magnesium and calcium. Filtered water passes through a bed of special bioceramic media balls which alkalise and ionize the water and increase the pH. Then the water passes through a blend of far infrared mineral balls. Far infrared energy is extensively used in the Far East because of its therapeutic properties. As the water passes through this media bed the water ‘picks up’ this beneficial energy and improves the structure of the water. 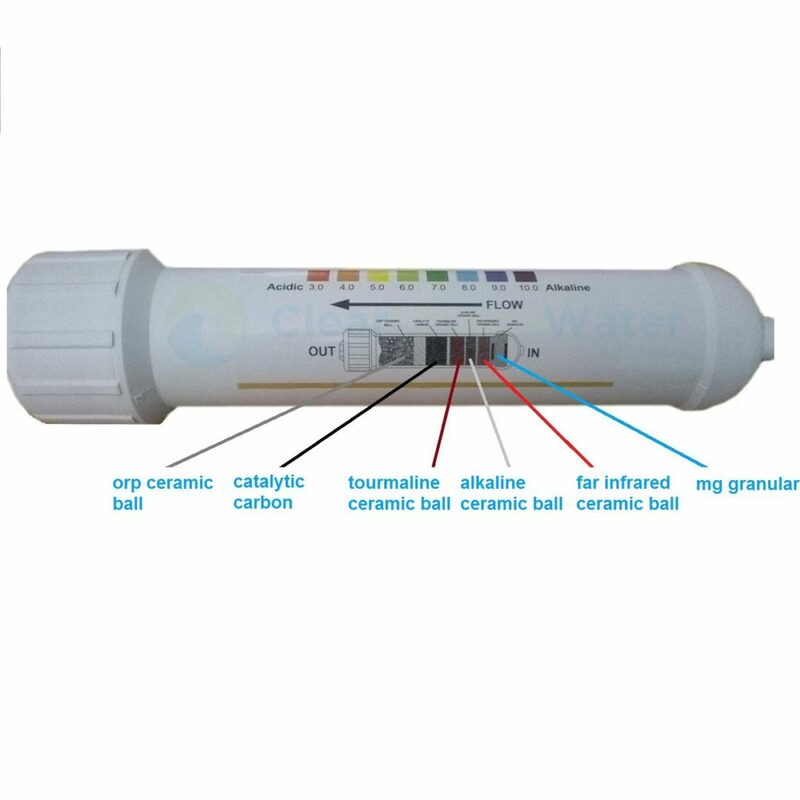 Orp or oxidation reduction potential can be tested in the water using an ORP meter, this meter measures electrical potential. 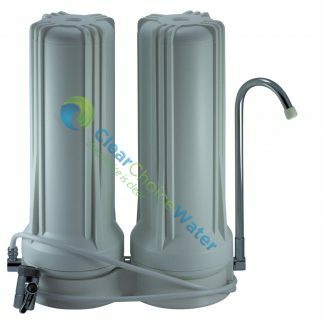 A lot of tap water or reverse osmosis water has an ORP reading of +200 mv t0 +600 mv these waters would be considered oxidisng agents. Most bottled water is acidic and have a high ORP reading. 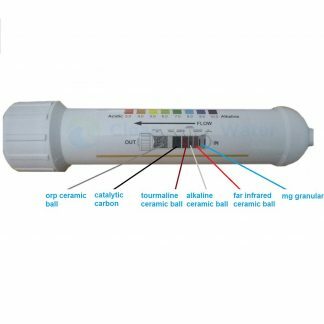 It is important to note that ORP and the alkalinity of the water are not tied to each other, 2 samples of water with a ph of 9 can have dramatically different ORP levels. More information about the benefits of alkaline water.